Chronic renal failure is extremely common in domestic cats and is in fact the leading cause of death for domestic cats. Certain breeds are more at risk than others with Abyssinian, Siamese, Persian, Russian blue, and Burmese cats being the most at risk for chronic renal failure. There are a number of herbs and nutrients that help to support and promote renal function and health. Asparagus root, milk thistle, green tea extract, and various other herbs are well known for their ability to support and promote optimal kidney health in cats. 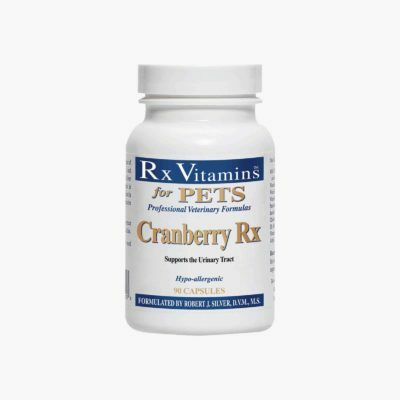 Rx Renal Feline is a complex formulation of multiple botanical extracts and nutraceuticals that have shown efficacy in normalizing renal blood values in patient trials. Each ingredient in this formula has scientific evidence supporting its usefulness ineffectively addressing elevated renal values. This formula is well tolerated in cats with positive clinical results achieved in as little as two weeks of administration. Capsules: One capsule per 10 lbs of body weight, twice daily. Give 1 capsule for each 10 lbs of body weight twice daily.